Sometimes you find a perfect pattern, and all you want to do is to keep making it over and over. Sometimes it’s a perfect in its complexity and detail. Sometimes it’s perfect in its simplicity. 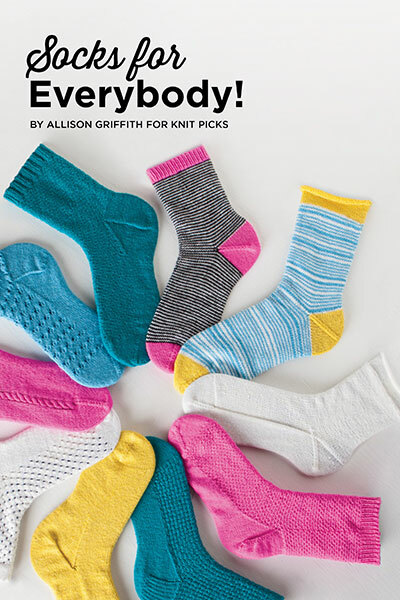 Hermione’s Everyday Socks by Erica Lueder is one of those patterns. 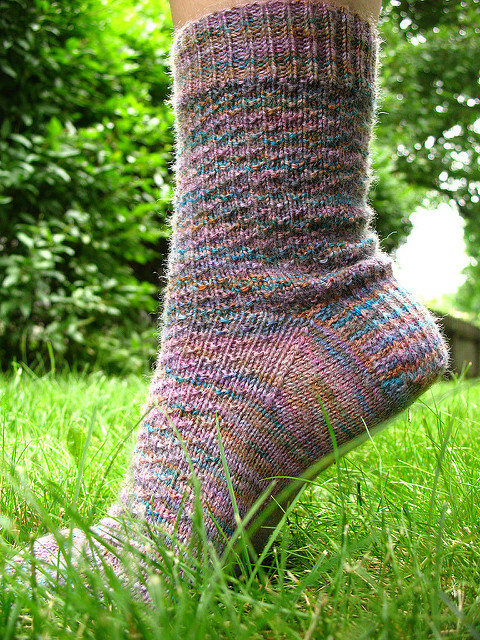 I’ve made socks every which way- plain stockinette, lace and cables, toe-up and top-down. But I think Hermione’s Everyday Socks are on my Mount Rushmore of knitting patter designs. They’re simple, but interesting. They’re easy but don’t not boring. They’re sturdy, but not bulky. And they’re truly unisex (in fact, my husband claimed my first pair of Hermione’s socks that I made… It was a sad day, but it did give me an excuse to make a second pair). I’ve been playing with the simple construction and knit/purl texture with some of my more recent socks- adding stripes, or changing the frequency of the purl bumps. I’ve worked them top down and toe up, with a variety of toes and heels. It’s amazing how many different variations you can make from such a solid starting-point. If you’re looking for a perfect-sock-for-everyone, you couldn’t do much better than Hermione’s Everyday Socks. 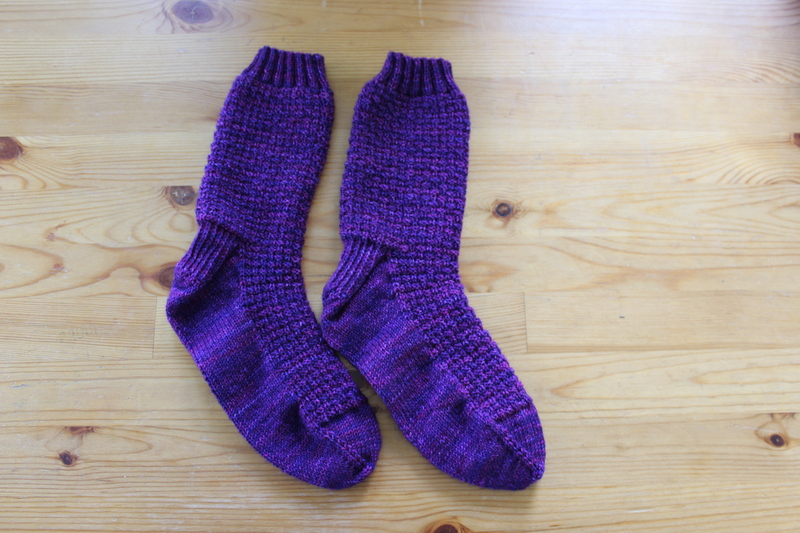 This entry was posted in Pattern Spotlight and tagged Erica Lueder knitting, hermione, hermione's everyday socks, knit, knit socks, sock, socks on July 17, 2017 by onemilljellybeans. I’m on a sock roll! And you can’t stop me! Anyway, I found enough turquoise-blue for a pair of socks, and I thought I’d get cracking. But this time, I feel like trying something new. 95% of the time, I work my socks top-down. But this time, I think I’m going to switch it up. I’m going… toe up! Woah! I’m a loose cannon! 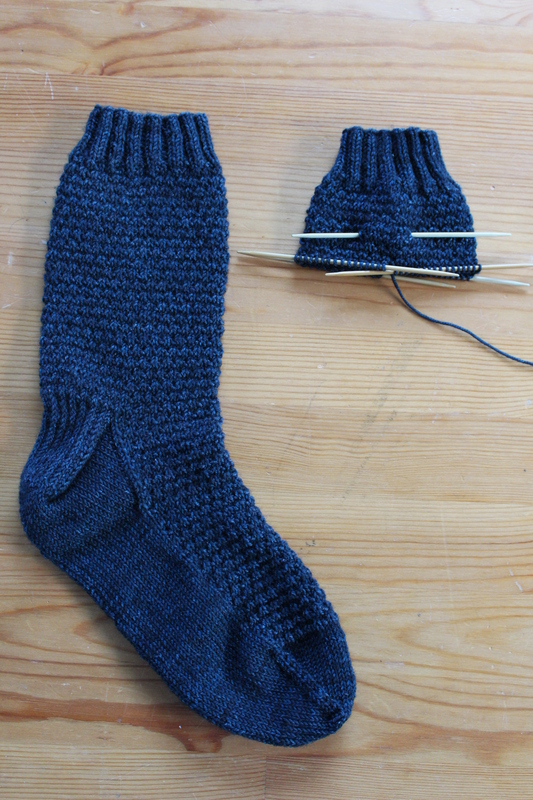 I’ve increased up to the toe, so now I’ve just got to decide what I want to do next… cables? Texture? Lace? There’s too many options! 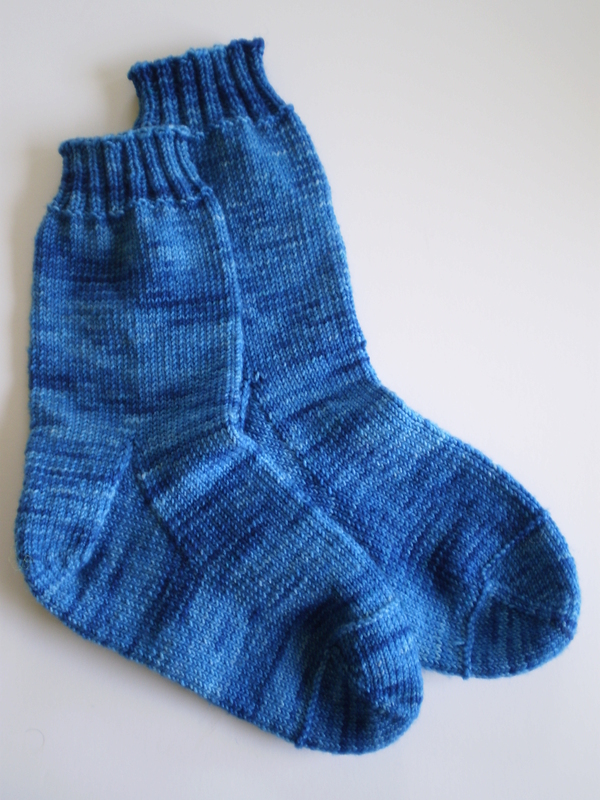 This entry was posted in On My Needles and tagged judy's magic cast on, knit socks, knitting, socks, toe up, toe up socks on June 30, 2017 by onemilljellybeans. I’ve made it to the toe! My socks are almost finished! Woo! 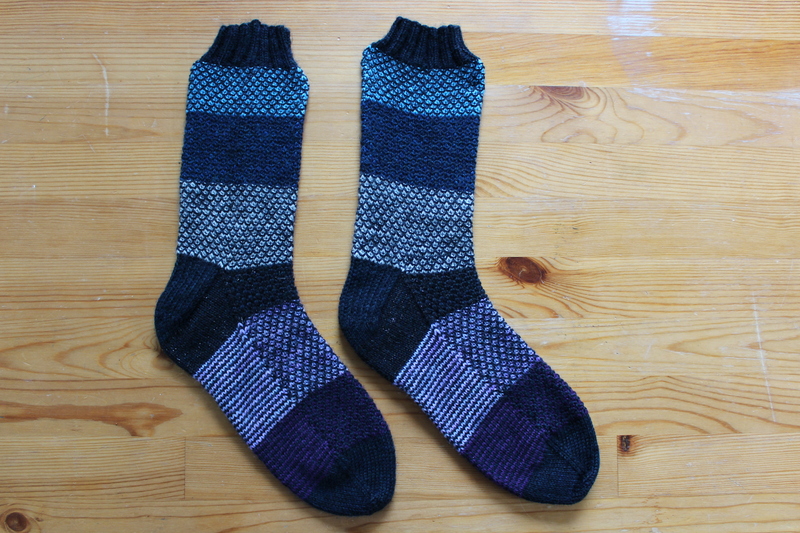 There’s something just so satisfying about finishing a pair of socks (or any knitting, I suppose). This morning, after dropping off my husband at his bus stop, I sat down to do knit a couple rows before grabbing breakfast. And, well, I got a little distracted. Let’s just say I got my breakfast a couple hours later than I had planned (which is saying something. I love breakfast). 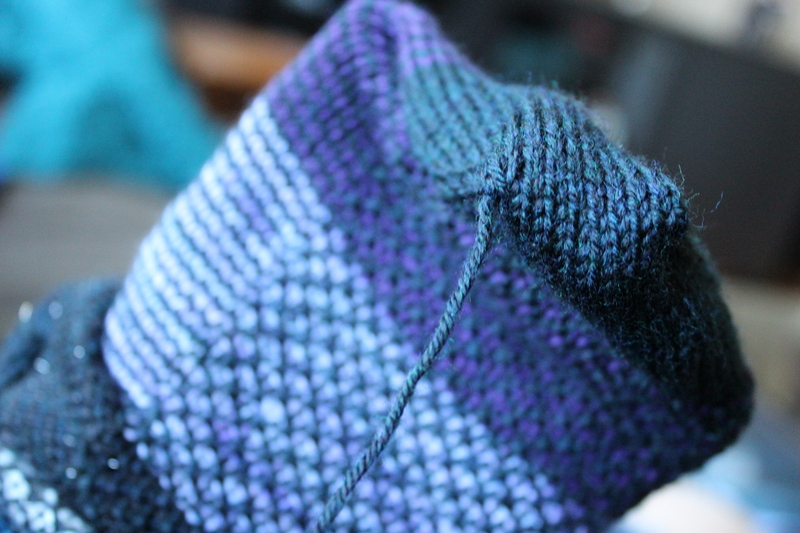 I’m so happy with how the socks turned out, but I think my favorite part of making socks (and the reason I love making top down socks in particular) is sewing up the tip of the toe with the Kitchener stitch. 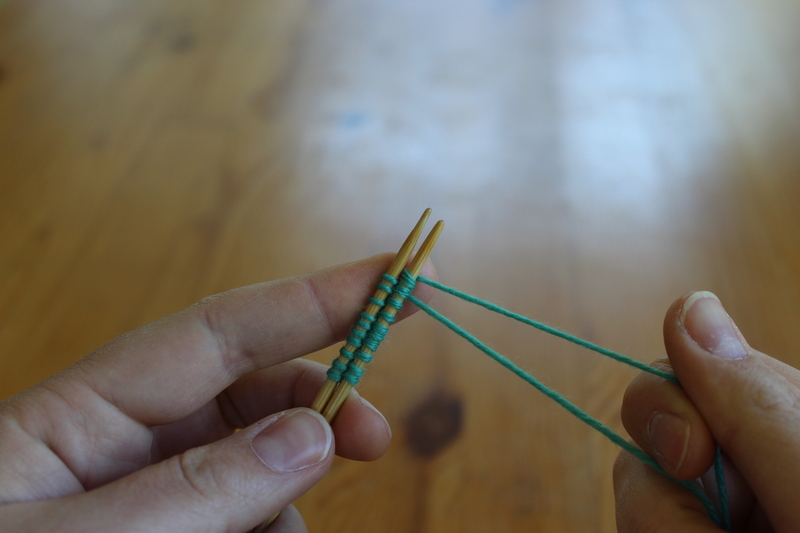 It’s one of those perfect knitting tricks that just makes me endlessly happy. I know that a lot of people have trouble with the Kitchener stitch, and it took me a long time to figure out how to do it. But, man, I love it now. 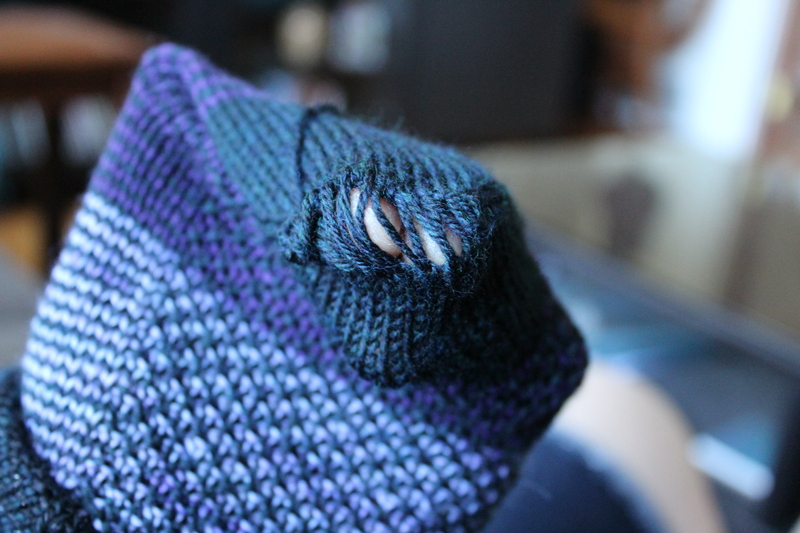 You start with a big ugly hole in the end of your nice sock. Then with a few careful stitches, Then a little careful pulling, (I know you’re supposed to keep your stitches tight when you do the Kitchener stitch, but for whatever reason, leaving them loose, then tightening them up afterward makes more sense to me.) And, voila! A perfect, lovely toe! I just love how the stitches disappear, looking just like your knitting. Whoever figured out how to do the Kitchener stitch (presumably, Ms. Kitchener) is a freaking genius! Now I have to go weave in all my ends (my least favorite part of making socks). Do you have a favorite technique? Something that makes you happy whenever you have to do it? 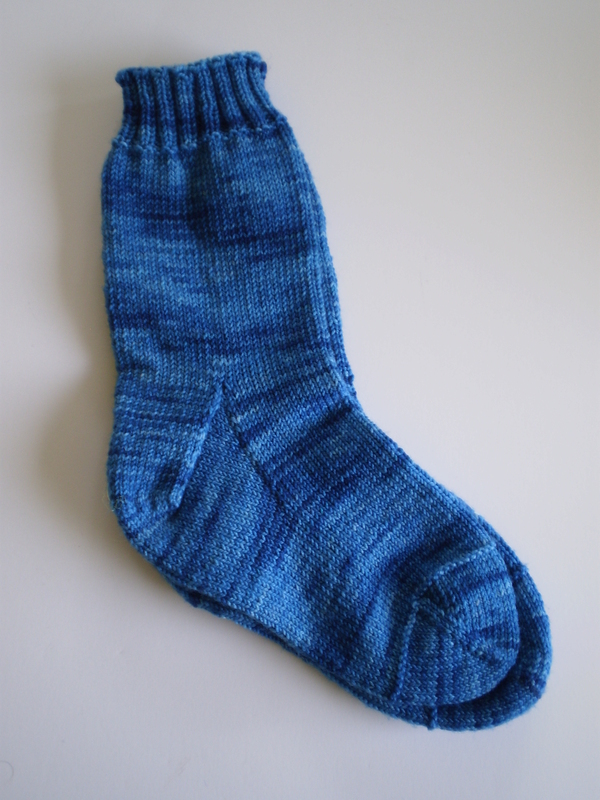 This entry was posted in On My Needles and tagged kitchener, kitchener stitch, knit socks, knitting, socks, toe on June 23, 2017 by onemilljellybeans. Summer’s Road Trip Season, and this year I’ve got a bunch of trips coming up. We’re flying to California to visit friends, we’re driving to Mt. Rainier with my folks and we’re going to a family reunion waaaaay up in the Upper Penninsula of Michigan. Of course, we’re not doing all this at the same time (we do have to work, after all). But, I want to get ready for all that car/plane downtime. That means stocking up on Dramamine, filling my Kindle with new books, and planning out some simple-yet-interesting knitting projects. I’m a big fan of socks as travel knitting. They’re small enough to fit into a purse or cary-on, but take long enough to fill up a whole week of travel. 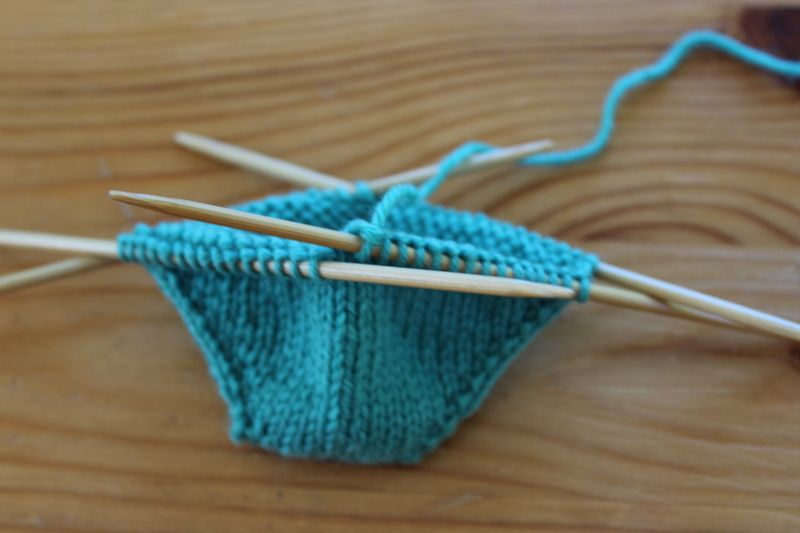 And, other than turning the heel, they’re easy enough that you don’t really have to focus on what you’re doing. 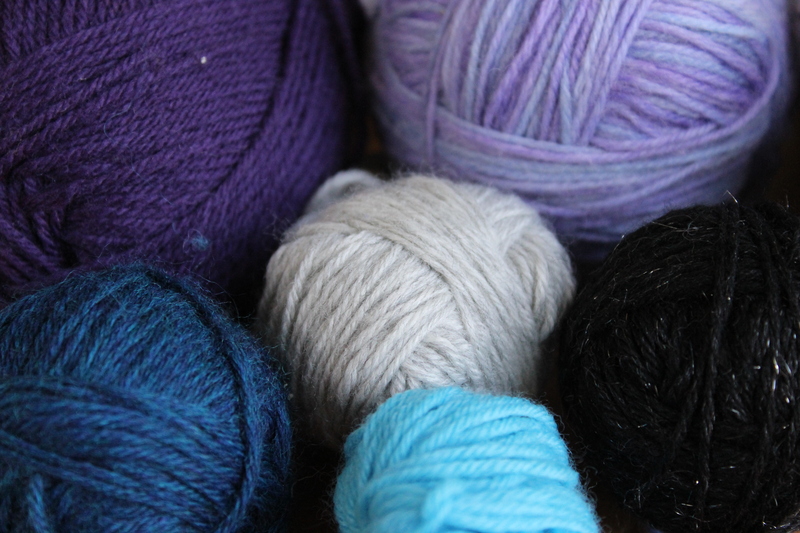 Anyway, I dug into my stash, and found a bunch of little ends of sock yarn. So, I was thinking of doing something to use up that yarn. 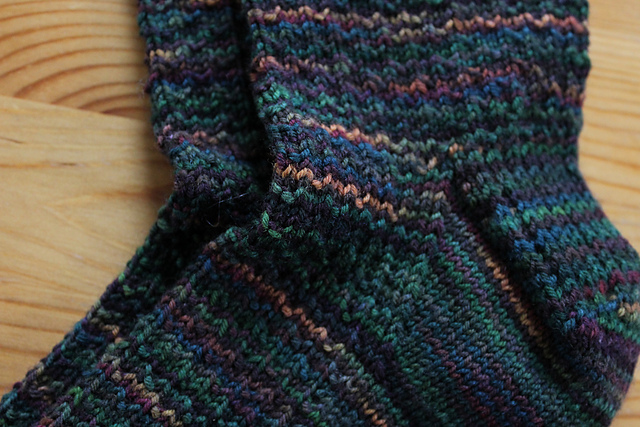 Stripes seem too boring, and colorwork would make me carsick (simple is the name of the game, after all). 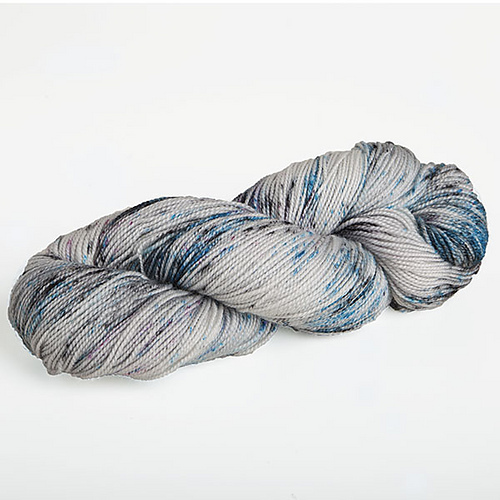 I poked around on Ravelry, until I found these beauties! 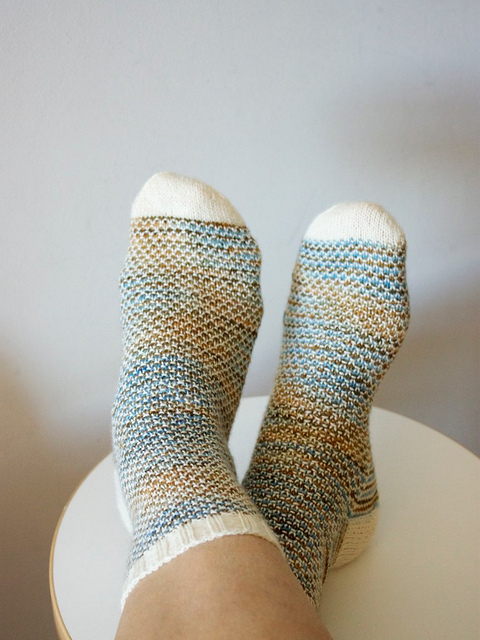 Broken Seed Stitch Socks by Hanna Levaniemi Her original pattern (it’s not a formal pattern, exactly, more like a design suggestion that I can use with my standard Socks by the Numbers pattern) uses a lovely cream color with a pretty variegated yarn. 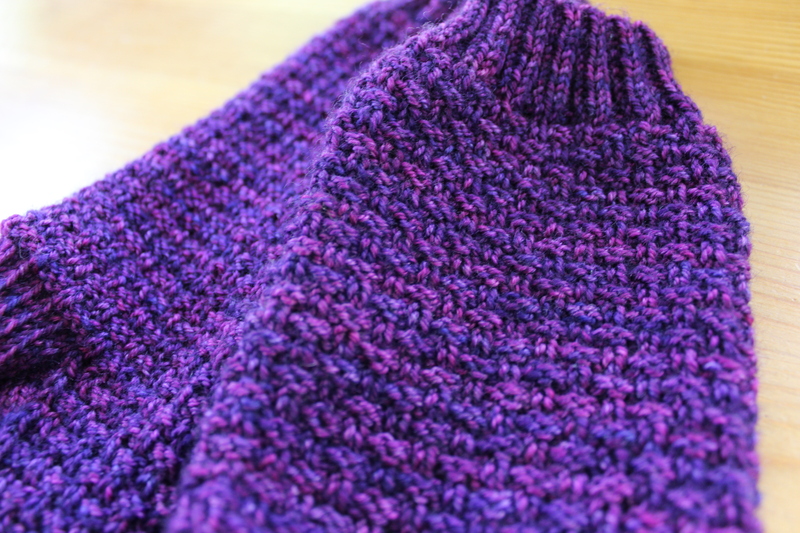 The little stripes combined with the knit/purl pattern make the colors blend together really nicely. I’m making myself wait until our road trips are officially going before I start knitting these bad boys. Vacation can’t start soon enough! Are you looking forward to any upcoming projects? This entry was posted in On My Needles and tagged broken seed stitch socks, car knitting, knit, knit socks, knitting, knitting socks, road trip, road trip knitting, sock, socks on June 9, 2017 by onemilljellybeans. 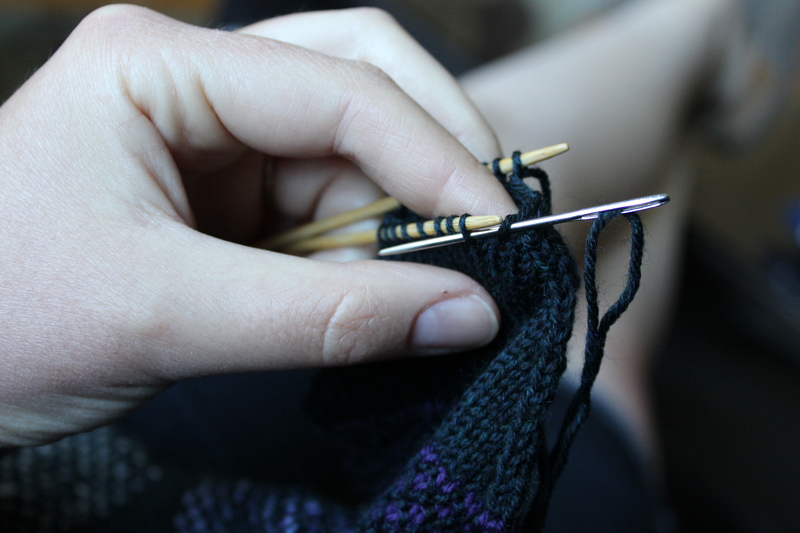 On Monday, I talked about using January as Knit for Yourself Month. And, usually I end up ignoring my own advice. But this time, I totally didn’t! 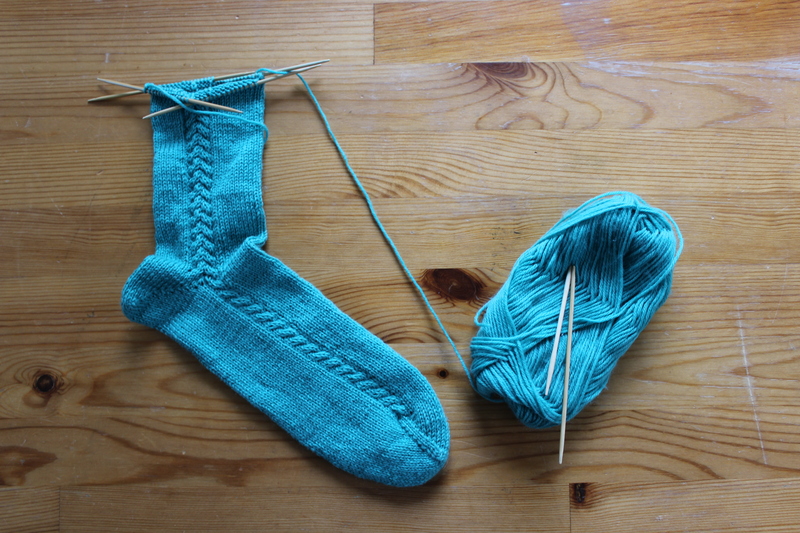 I’m going to make my first-ever pair of toe-up, heel-flap socks in some lovely yarn that’s been hiding in my stash. What’s that? 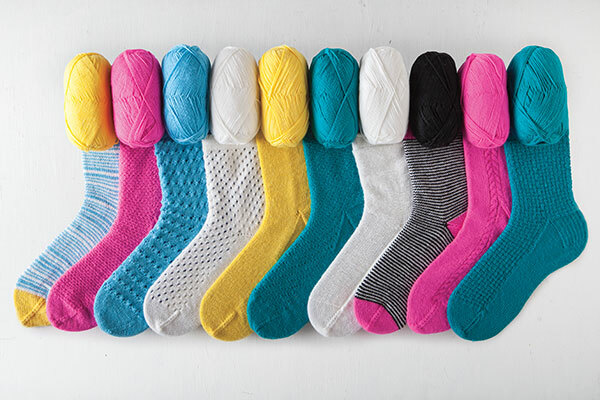 You’re asking how these could be my first pair of toe-up, heel-flap socks when I constantly have at least one pair of socks on my needles. Well, I exclusively do top-down socks. I know it’s kind of silly to get in such a rut, but top-down are the socks I learned how to make back in college, and they’re where I’m comfortable. And, well, when it ain’t broke, don’t fix it, right? To be fair, I experimented with toe-up socks with afterthought heels, and some with short-row heels, but that was years ago. 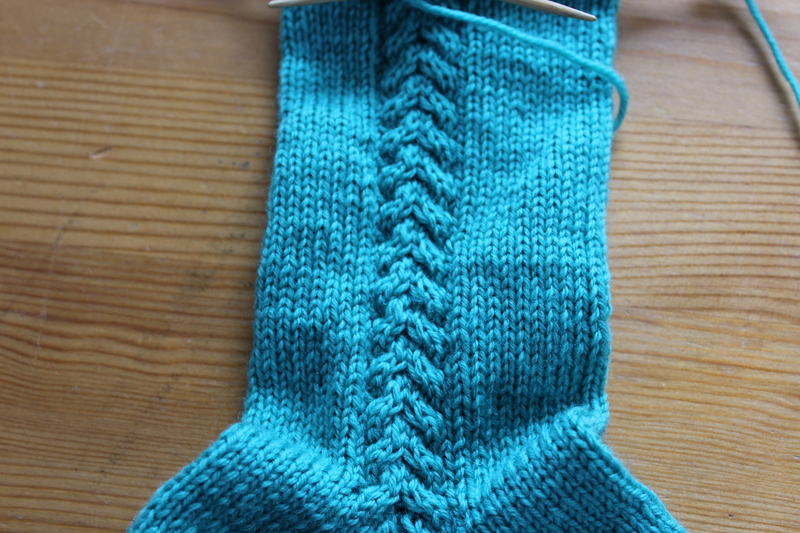 And anyway, I’ve never attempted a heel flap in a toe-up sock. 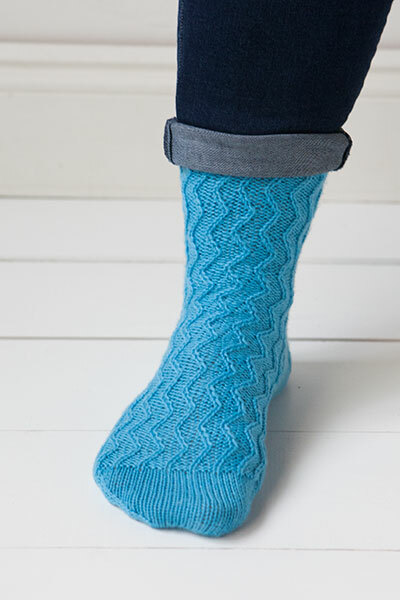 So, after finding the pattern in my queue on Monday, I downloaded the “Diagonal Lace Socks” pattern off Ravelry and looked it over. It didn’t look too bad, except that the designer expected me to knit a pair of socks for my size 10 feet with a set of US0 needles. That wasn’t going to happen. I loose patience with tiny needles, and rarely go below a US2. But, for this I was willing to compromise. I pulled out my US1’s and decided to make the “medium” size, instead of the “large,” and cross my fingers that the difference in gauge would make up for the few stitches difference. So, now I’m off to find a good video of Judy’s Magic Cast On, and start my new socks! 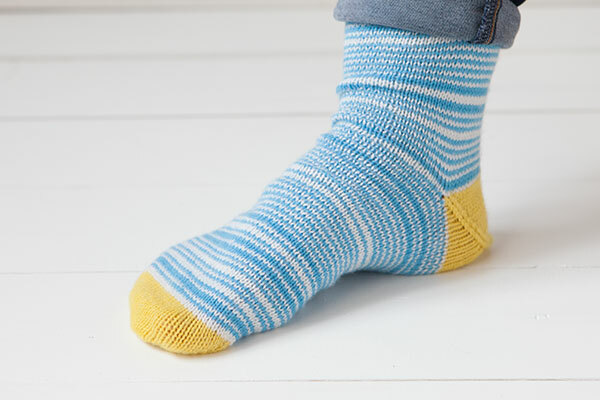 Does anyone have any tips for toe-up socks? 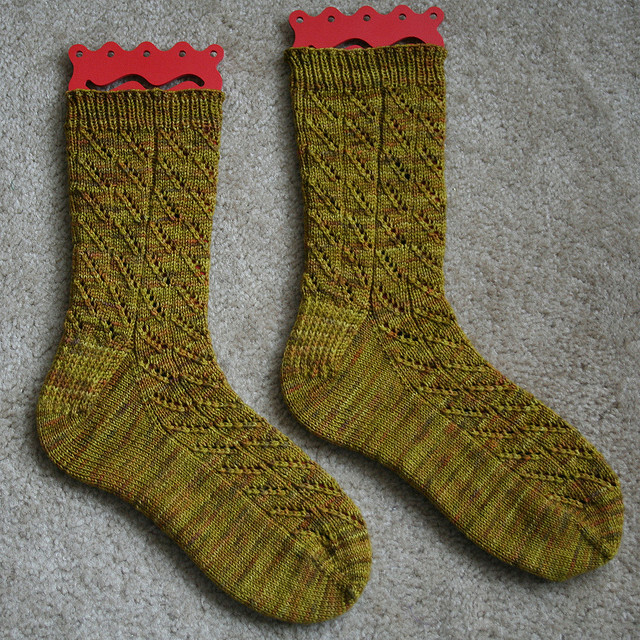 This entry was posted in On My Needles and tagged hawthorne, heel flap, knit, knit socks, knitpicks, Knitpicks Hawthorne, socks, toe up, toe-up heel flap, US1 on January 11, 2016 by onemilljellybeans.